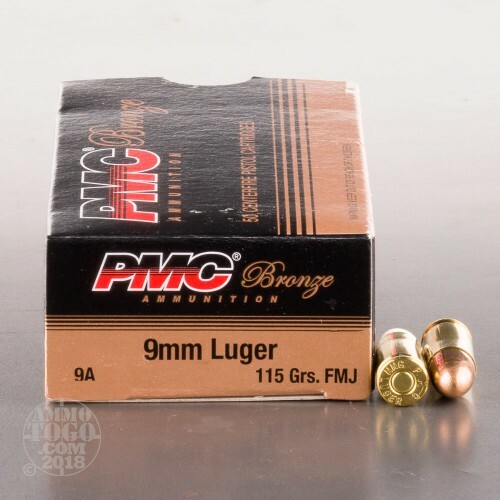 This is 9mm PMC Bronze 115gr. FMJ Ammo. 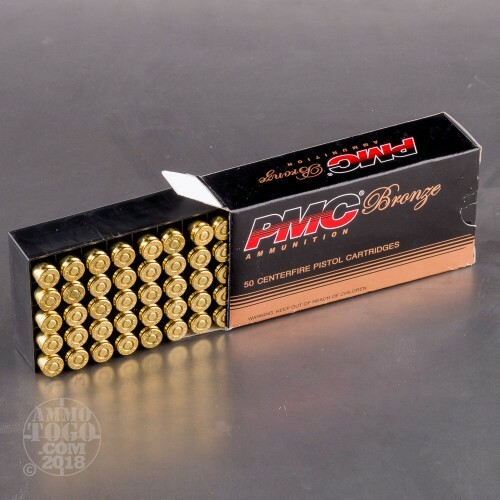 PMC is known for there premium quality ammo at affordable prices. 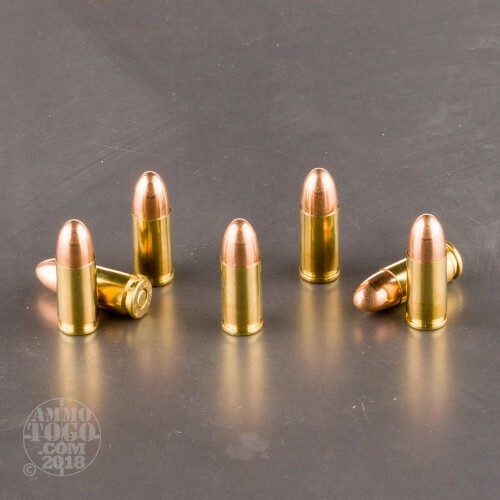 This long popular ammunition line makes it possible for budget conscious hunters to go afield with plenty of ammo or enjoy high volume shooting with military ball style ammo without emptying their respective wallets. This ammo is a great choice for target shooting. It comes packed in 50rd. boxes, 1000rds. per case. I love this ammo for my practice days. I've gone through nearly 2,000 rounds of this ammunition and have not had a single misfire or weak round. The ammo doesn't seem "dirty" at all and all the brass that I've looked at after firing has been in great shape. 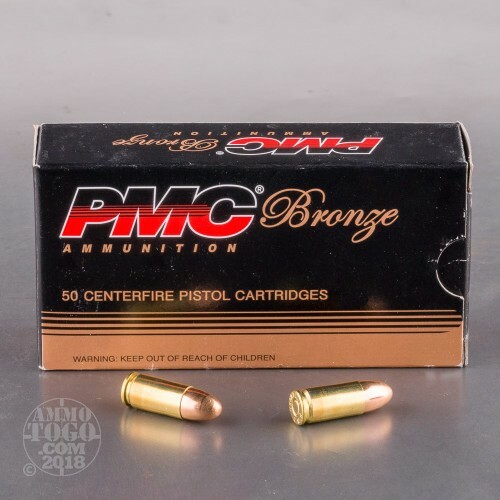 I will absolutely be purchasing more PMC Bronze soon! I've used PMC ammo for over 10 years and it's my choice for range ammo and works well. My most recent 2000+ rounds I only had 1 misfire. Good ammo and I will continue to purchase. PMC is my choice of target practice ammo. On the cheaper side and accurate enough for the range. Never had a misfire or a bad round and I fired thousands over the past few years. Shoots straight and clean. Good brass, and decent price. Blazer Brass is louder for some reason. Great ammo at very reasonable price. You can't go wrong with ammotogo.com. Excellent customer service and fast shipping every time. Great company to do business with. I have been using PMC ammo for years. I do miss not being able to pickup at business. This 9mm ammo does not work in my TNW ASR ,fails to eject 50% of the time.Blazer Brass works flawlessly. Ammo was flawless with reasonable pricing. Fast on shipping which is always great. Will do business again. Great,fast delivery. I will be using ammotogo again. Excellent ammo. It is clean and I had no misfires or trouble with it feeding into my Glock 17 and Glock 43. I've reloaded approx. 2000 rounds with the brass and have not yet had any issues with the reloads. I plan on buying more at this great price. Good,clean ammo. Hits were you point,does not make my gun dirty or hard to clean, and the price is right. I have not reloaded any. Great price & delivered before expected!